In this video we will discuss Reactive Forms in Angular. As the name implies, Template Driven Forms are heavy on the template meaning we create the form completely in HTML. 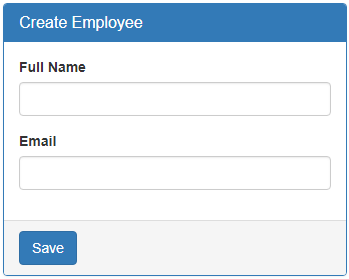 Template driven forms are easy to build and understand. They are great for creating simple forms. However, creating complex forms using template driven approach is not recommended as the HTML can get very complicated and messy. 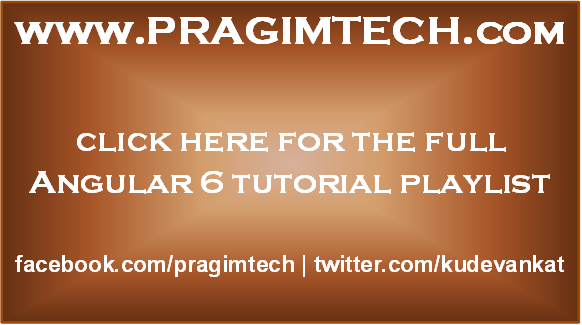 It is not easy to unit test template forms as the logic is in the HTML. Reactive forms on the other hand allow us to build the form completely in code. This is more flexible and has many benefits over template forms. For example, it is easy to add form input elements dynamically and adjust validation at run-time based on the decisions made in code. It is also easy to unit test as most of the logic and validation is in the component class. The only downside of reactive forms is that they require more code than template forms. In this video and in our upcoming videos we will discuss everything we need to know to build complex reactive forms. With a reactive form, we create the entire form control tree in the component class code. Let us understand this by creating a simple form with just 2 form controls as shown below. Creating a form group model : Two classes that we commonly use to create a form control tree is FormGroup and FormControl. As the names imply to create a form with a group of controls, we create an instance of FormGroup class and to create each input element i.e a form control, we create an instance of FormControl class. So in the CreateEmployeeComponent (create-employee.component.ts) class modify the code as shown below. // Initialise the FormGroup with the 2 FormControls we need. Right click and go to the definition on FormGroup class constructor. Notice it has 3 parameters. The first parameter (controls) is required, but the rest of the 2 parameters are optional. As you can see, the controls parameter is used to pass the collection of child controls. In our case we want 2 child controls in the FormGroup - fullName and email. So we pass an object with key/value pairs. The key is the name for the control and the value is an instance of the FormControl class. But, wait a minute, from the intellisense, I see that the value is AbstractControl and not FormControl. So the obvious question that comes to our mind is, how are we able to pass a FormControl instance when it is expecting AbstractControl instance. Well, FormControl class inherits from AbstractControl class. This allows us to pass FormControl instance as the value. Both FormControl and FormGroup classes inherit from AbstractControl class. This allows us to pass either a FormControl or a FromGroup instance as the value. If you are wondering, why do we need to pass a FromGroup instance as the value. Well, a FormGroup can have a nested FormGroup. We will discuss nested form groups in our upcoming videos. Now we need to bind the view template to the form group model we created in the component class. For this we make use of the following 2 directives provided by Angular ReactiveFroms module. Here is the modified HTML. Notice the use of formGroup and formControlName directives in the <form> element and the 2 input elements. To bind the <form> element to the employeeForm group in the component class we use the formGroup directive. Since "employeeForm" is a property we use square brackets around the formGroup directive to indicate that we are binding to a property. To bind each input element to the associated FormControl in the FormGroup model, we use formControlName directive. Notice we are not using square brackets with formControlName directive. This is because, in this case we are binding to a form control name which is a string and not a property. At this point, if you view the page in the browser, you will see the following error in the browser console. This is because, the 2 directives (formGroup and formControlName) are in ReactiveForms module, but we have not yet imported it in our root module. So in the AppModule (app.module.ts file), import ReactiveFormsModule and include it in the imports array. Accessing form data : To access form data, bind to the ngSubmit event on the <form> element. This ngSubmit event is raised when a button with input type=submit is clicked. In the component class (create-employee.component.ts), include onSubmit() method as shown below. At this point, fill out the form and click Save button. Notice, the Formgroup value property is logged to the console. The value property of the FormGroup contains each form control name and it's associated value. At the moment our reactive form is a very simple form with just 2 text box input controls. As we progress through this course will discuss working with checkboxes, radio buttons, dropdownlists etc. We will also discuss form validation, nested form groups, dynamically creating form controls etc. Can't bind to 'formGroup' since it isn't a known property of 'form'. ("
I did the same thing that you told, application is working fine. But when i submit the form, I got all the formControls input value as null.